Oily skin was a risk factor for severe acneiform eruption. Instrumental evaluation has demonstrated rapid inflammatory changes of the skin associated with epidermal growth factor receptor (EGFR) inhibitors and revealed that the presence of oily skin is a risk factor for severe acneiform eruption (AfE), according to the results of a multicenter, observational study conducted at the National Cancer Center Hospital, Tohoku University Hospital, and Mie University Hospital, all located in Japan. Findings from the analysis were published in The Journal of Dermatology. Recognizing that EGFR tyrosine kinase inhibitors (TKIs) and anti-EGFR antibodies are often linked with the development of various dermatologic adverse events, and that the precise skin changes and risk factors for severe AfE remain unclear, the investigators sought to elucidate useful parameters for early sensitive detection of skin changes by EGFR inhibitors. Skin surface hydration, transepidermal water loss, skin surface lipid levels, and erythema/melanin index were all measured serially for 2 weeks among 19 people treated with the EGFR-TKI afatinib/erlotinib and for 8 weeks among 20 people treated with the anti-EGFR antibody cetuximab. Transepidermal water loss levels of the cheek were already elevated 7 days following initiation of afatinib/erlotinib therapy in patients who had AfE grade 2 or more compared with prior to therapy and compared with patients with AfE of grade 1 or less. Further, in cetuximab-treated patients with AfE, skin surface hydration on the cheek in those with grade 2 or more AfE decreased significantly compared with hydration in those with grade 1 or less AfE at weeks 2 and 6 (P <.05). Baseline skin surface lipid levels and erythema index on the cheek of patients with grade 2 or more AfE were significantly higher than in those with grade 1 or less AfE (P <.05). The investigators concluded that the major limitation of this study was the small sample size, particularly when performing logistic regression analysis. The results of the current study revealed that AfEs resulting from EGFRIs develop subclinically as early as the first week of treatment in patients receiving EGFR-TKIs. In contrast, in patients who are treated with an anti-EGFR antibody, AfEs caused by EGFR inhibitors are observed during the second week of therapy. High skin surface lipid levels prior to EGFR inhibitor therapy and oily skin are both risk factors for severe AfE. Kikuchi K, Nozawa K, Yamazaki N, et al. 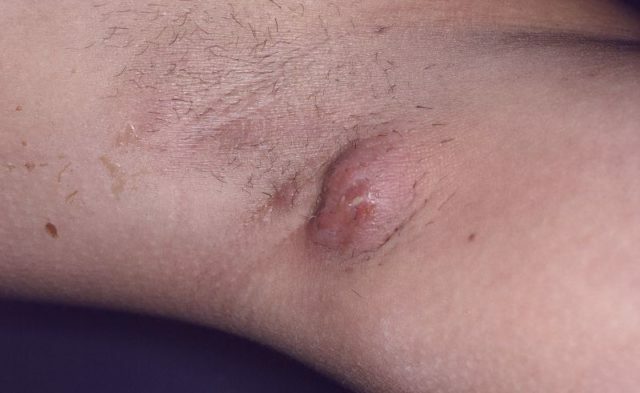 Instrumental evaluation sensitively detects subclinical skin changes by the epidermal growth factor receptor inhibitors and risk factors for severe acneiform eruption. J Dermatol. 2019;46(1):18-25.